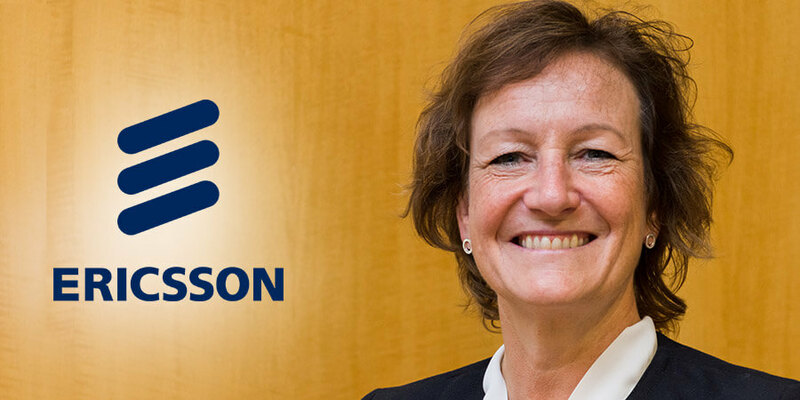 Eva Andren, VP and Head of Managed Services at Ericsson has claimed that AI and Machine Learning will drive operational efficiency in next-generation networks and claimed the Swedish telecommunications colossus is well-positioned to maintain its position as a global-leading vendor for operators as they continue to prepare for the Fourth Industrial Revolution. Andren has enjoyed a decorated and distinguished career in ICT to date, and has established herself as a prominent figure for Ericsson. Under her dynamic vision and leadership as Head of Managed Services in the Middle East & Africa, Ericsson has cemented its status as the go-to vendor for operators in both markets. Telecom Review managed to secure an exclusive interview with Andren at Telecoms World Middle East. In a fascinating discussion, the Ericsson executive outlined the role AI and Machine Learning will play in operational efficiency, the current challenges facing operators and her primary objectives and goals for the remainder of the year. Why is Telecoms World such an important ICT event for Ericsson? Telecoms World enables us to meet our existing customers and it also allows us to potentially forge new business relationships. 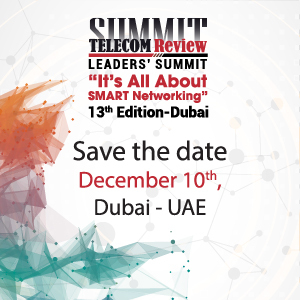 Telecoms World also provides us with the chance to network with our colleagues and our ecosystem partners in an effort to understand the different insights and conversations going on within organizations across the ICT spectrum. 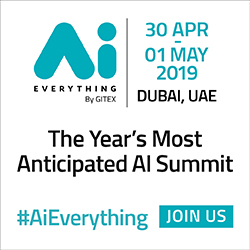 The event is a great meeting point to discuss new business opportunities that are currently being created in the ICT sector following the emergence of new technologies such as 5G and AI. Can you outline to us what your main responsibilities are in your role as VP and Head of Managed Services at Ericsson? My main responsibility is to manage our data networks and our network operations centers across the Middle East & Africa. It is a challenging role, as it's critically important that we manage our operators' operations effectively in a bid to make them as efficient as possible. I'm based in Johannesburg, and I'm primarily tasked with the responsibility of adhering to the requirements and needs of our operators in both the Middle East and Africa. Both markets are very important for us, so it's imperative that we deliver the best networks services we can so their customers are satisfied. Can you highlight the role emerging technologies such as AI and Machine Learning will play in driving operational efficiency in next-generation networks? It will be increasingly fast. AI and Machine Learning will actually have a huge influence on the way we manage operations in the future. It will transform not only the way we manage operations in business, but also in our personal life. The need for speed is extremely high now, and that demand is increasing exponentially all the time. AI and Machine Learning are key components of the Fourth Industrial Revolution which we already see hurtling towards us. The necessary requirement to manage the huge volumes of data that will be generated by the Fourth Industrial Revolution will be incredibly complex to handle. The Internet of Things is already here, and the number of connected devices we're already handling is enormous and expected to explode further by 2020. 5G is now already being deployed in a number of countries. It is evident that human beings will not be able to manage all that data. We need to have automation and we need to have Machine Learning and AI in order to facilitate this transformation journey our industry is going to embrace. How much of a challenge is it going to be for operators to integrate emerging technologies like AI and Machine Learning into their existing operations? As I outlined during my presentation, Ericsson has a number of use cases in relation to how operators can adapt and seize the opportunity that is being presented by the emergence of these new technologies to create new business models. Ericsson has been on this journey since 2007. We handle hundreds of patents, so we've got a lot of experience in this area. However, there is no doubt that there still is a lot of work to be done and we need to learn continuously, and I don't think there will ever be ready learning. I think together with DevOps we can embrace this culture of learning together in an effort to execute our goals. How can managed services bring down the overall cost of operations for enterprises? The best approach for businesses to adopt in relation to reducing the cost of operations is to look at the work we've conducted at our network operations centers. We have made the network centers intelligent through automation. We work collectively with our network operation centers on a global scale by taking advantage of the processes and tools that we have at our disposal. We take the findings we've uncovered in our operation centers across the world and we apply that to enterprises/operators that ultimately reap the benefits of this. We basically help them achieve higher speeds and higher quality. In your opinion, what differentiates Ericsson from its competitors? I think our expertise and the global scale of our experience is what differentiates us from other vendors. In addition to this, I think the quality of our engineers is another factor in our continued success. Our highly-skilled engineers are now training our robots and machines in an effort to be able to reuse and relearn what we've done over the years. This type of innovation and leadership is what distinguishes us from our rivals. Our primary objectives and goals for the remainder of 2018 - and looking ahead to 2019 - are to continue to deliver higher quality performance to our customers. We want to ensure we remain competitive and we also want our customers to remain competitive in what is a constantly evolving and disruptive industry which presents many obstacles and challenges. We believe we have the innovations, solutions, experience and expertise to continue to be a leading vendor in the ICT sector.